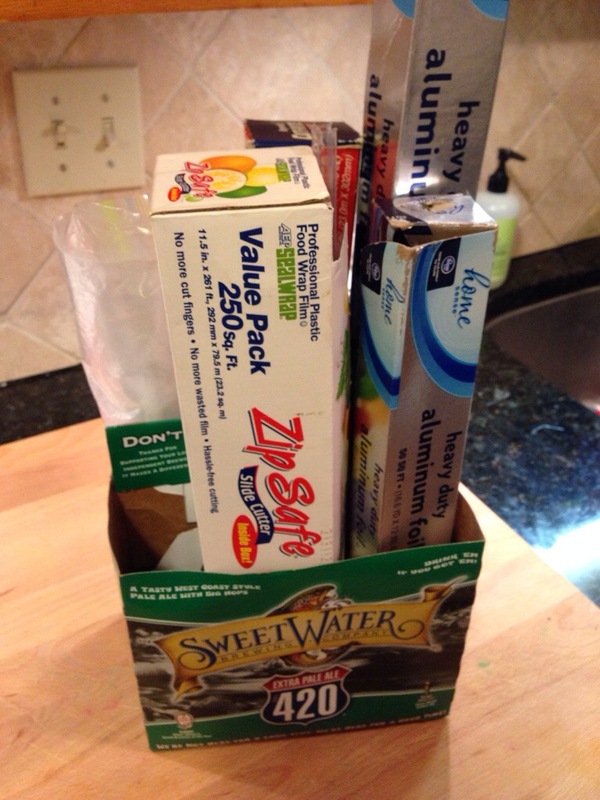 That brilliant husband of mine came up with this quick re-use of a six-pack beer carton. Now all of our wraps and zip lock bags are in one place. Way to use that Georgia Tech degree!